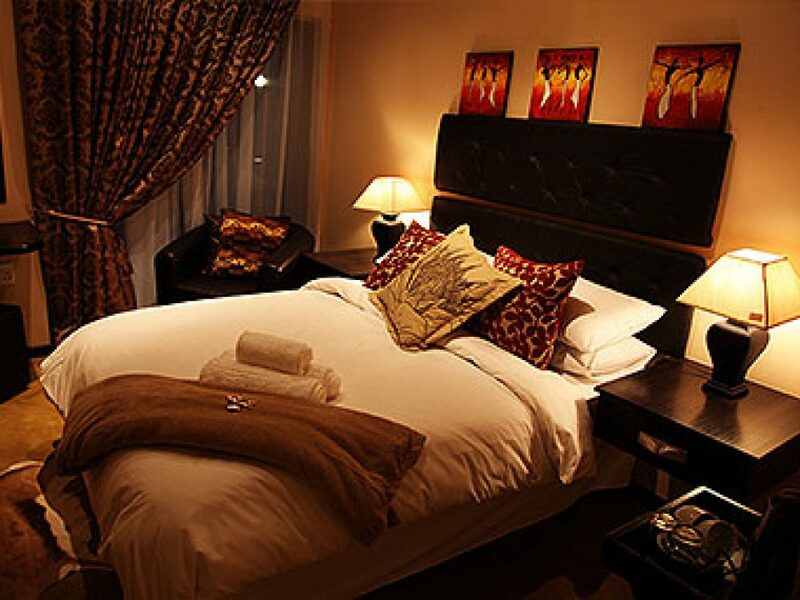 African Lodge offers affordable four-star and other accommodation in Bloemfontein. We are ideally located offering you easy access to the most important facilities and attractions Bloemfontein has to offer. We are located right opposite the Universitas Hospital and just around the corner from the University of the Free State (UOFS). All our Rooms are stylishly decorated in a true African style, each offering you all the comforts and amenities you would expect from a world class Lodging facility. Our rooms offer en-suite bathrooms and most offer private access to the parking area. Our self-catering family rooms are fully equipped and sleep four people. Each unit offers a double and two single beds. African Lodge can provide lodging for groups of up to 200 people. If you wish to find out more about African Lodge for when you next require Accommodation in Bloemfontein, please do not hesitate to contact us.